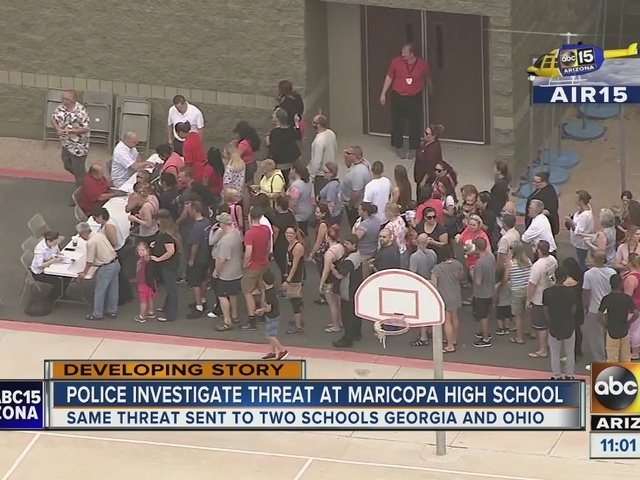 Classes at Maricopa High School were canceled Tuesday after a bomb threat, according to the Maricopa Police Department. Police say students were not on campus, but school staff was inside at the time the threat was received. 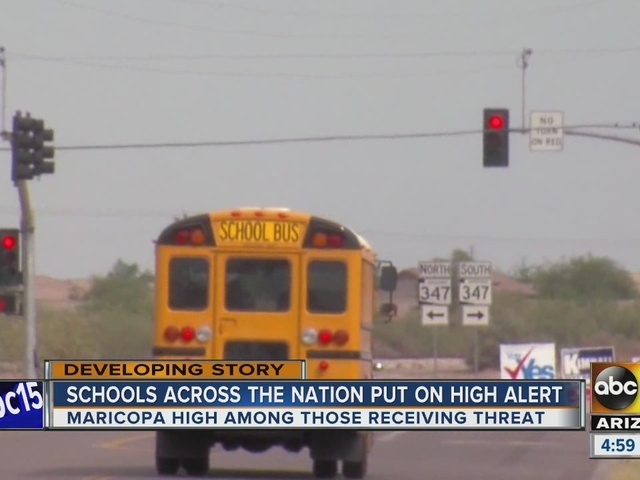 "Multiple threats" to the school were reportedly faxed in, according to police. See a map below of school threat incidents across the Valley since Jan. 1, 2016. The school district says classes have been canceled for the rest of the day and students on buses have been taken to Desert Wind Middle School. Parents (or guardians listed on emergency contact lists) picking up high school students will need to provide ID. A representative with the school district says classes at all eight other schools in the district are on a "teaching lockdown." That means classes will continue with doors locked and there will be no outdoor activities. 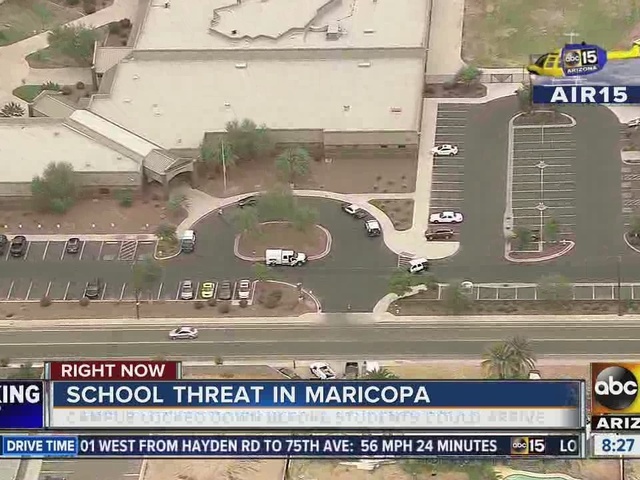 Police were at Maricopa High School investigating for several hours, but the all-clear was given around 10:30 a.m. Nothing threatening or suspicious was found on campus. This threat comes almost exactly a year to the day of another threat at the school.